Royals is a fun little strategy game from Asher Vollmer, one of the creators of Threes (iOS). As a peasant seeking to attain royalty, each turn on the game’s randomly-built map takes a year of your life, which you can spend accruing resources in a variety of ways. Saying anything more would spoil the fun of figuring out how everything works. You can download Royals on a “pay what you want” basis. I’ve been wildly interested in ants since an early age, and have often wished that there were more games that allowed you to take control of an ant colony, such as the classic SimAnt, or 2008’s Ant Rush. So I was especially excited earlier today, when Formicarium crawled onto Kickstarter. Billing itself as a strategic simulation game, Formicarium allows players to “become the invisible mind guiding an ant-hive through difficulties and dangers.” Drawing inspiration from other titles such as Dwarf Fortress and The Sims, the game aims to simulate a procedurally-evolving world where insects and arachnids struggle to survive the environment, and each other – with the player guiding their own colony of ants. Similar to Dwarf Fortress, the colonies or “hives” of Formicarium will consist of multiple “cross-section” levels, extending downwards from the surface. Chambers will need to be dug, food will need to be stored, and new ants will need to be be birthed. All the time, the player will need to keep an eye out for potential dangers from the surface, including antlions, spiders, bees and wasps, and more. Formicarium is being created by a team of just two people. The development side of this duo is Konrad Feiler, whose history as a mathematician and software engineer is being put to good use developing a procedural world, filled with all manner of bugs behaving in realistic manners. On the design side, artist Dorota Orlof has provided an incredibly eye-catching style, bringing each of the game’s “characters” to life through a clean and colorful approach. So far, the duo has a working prototype of Formicarium, and they are now moving to bring the project to full fruition as a game on both mobile devices as well as PC and Mac. To reach that goal, the Formicarium Kickstarter campaign is aiming to raise just a modest $20,000. If the idea of being the overseer of a virtual ant colony – struggling to survive in a procedurally-simulated world of competition and danger – appeals to you, head on over to the Kickstarter page for Formicarium to learn more and pledge. You can also keep an eye on the game’s website and Twitter for more news, and even vote for it over on Steam Greenlight. Indie studio Ctytivo Games has just launched the Kickstarter campaign for their first big project, The Universim. The Universim certainly aims high, promising to be a god game (presented by Crytivo Games as a “planet-management” game) in which you are tasked with guiding a race from the stone age to the space age. The player will achieve this primarily through indirect action, such as influencing the technological aspirations of the race, deciding where they will found their cities, and even when wars will be fought and for how long (and to what end). Once the player’s race has developed sufficiently, they will take to the stars in search of other planets that they may colonize. Each planet will have different environments and present different challenges to habitation, but the player will continue to guide their race in their efforts to become a universe-spanning empire. Although the game seems to verge on being a Molyneux-ian pipe dream, the gameplay trailer unveiled today with the Kickstarter campaign shows that they have already completed a significant amount of the game. With Kickstarter, they are now hoping to raise the final funds to complete the game, setting the goal at $320,000. Beyond that, they have laid out potential stretch goals that they hope to be able to implement, such as planet and building editors and a multiplayer mode. To see more and keep up with The Universim, head on over to the game’s website and TIGForums devlog. If you like what you see and want to help fund the game through to completion, be sure to stop by the game’s Kickstarter page and pledge. You expected to smash the colony ship and its escorts. What you didn’t expect was a Federation military fleet jumping in before you were finished. Back in December of 2012, my radar lit up when a prototype gameplay video of something called Enemy Starfighter hit the web. I hadn’t heard of it before then, but I immediately knew it was something I had been waiting my life for: a dogfighting space simulator with an integrated “planning phase” akin to that seen in early Rainbow Six games. Select the ships for the job, customize their weapon loadouts, designate their targets, and begin the assault – then jump into the cockpit of the wing leader and engage the enemy directly. It all seemed like a game I would dream up while playing Wing Commander or Homeworld when I was younger, and it was real. Today, Enemy Starfighter has come quite a way from that original prototype video. It is still far from complete, but developer Mike Tipul has seen fit to show us its current state in a new teaser trailer and several new screenshots over at the game’s website. Enemy Starfighter is the debut game for Tipul’s one-man dev studio Maurader Interactive, and he has been working on it non-stop for the past year. Both the intense dogfighting and the beautiful planning phase that we saw in the original video have been polished, and larger ships have been unveiled, including capital ships, carriers, and even beam frigates. For the finished project, Tipul is planning to inject a bit of a roguelike element into the game by means of a procedurally-generated campaign. Players will be tasked with leading the Empire’s Harbinger Fleet from system to system, crushing any and all Federation forces that lie in your way. Every time you start a new campaign, the game will generate a new galaxy for you to conquer with different systems, different enemy forces, different missions, and – hopefully – different emergent stories for you to tell of how you crushed the Federation beneath your heel. If you like tactical games and free PvP, then you might get as addicted to the Banner Saga: Factions as I have (Factions’ Steam page). 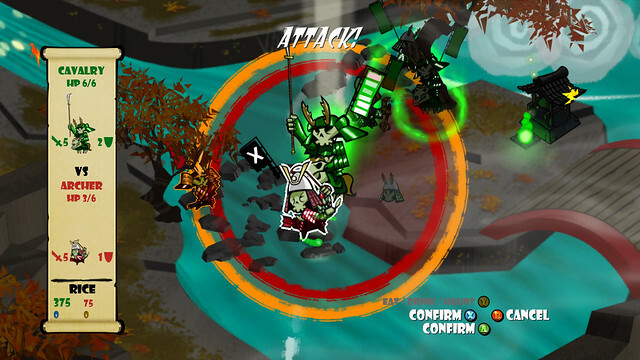 It’s much like playing a timed chess game with a greater depth of variety in terms of strategy, which is provided the fantasy elements of the game and its unique battle mechanics. 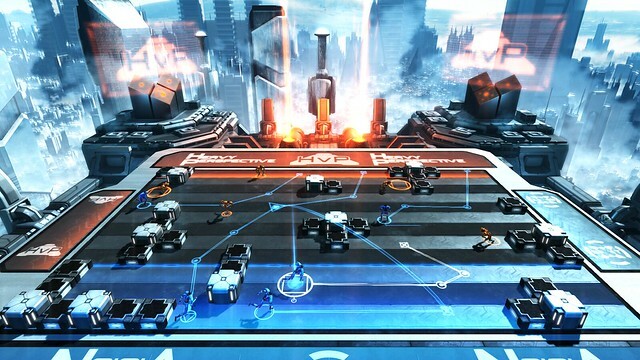 Mode 7 Games have announced that they’re currently working on Frozen Endzone, a spiritual sequel to their innovative tactics game Frozen Synapse. Endzone applies the “simultaneous turn-based” tactics that were developed for Synapse to a futuristic sports game. 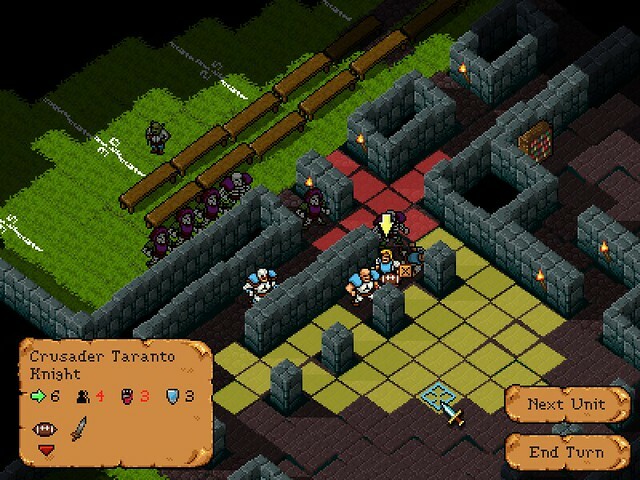 Players will square off against one another in a randomly-generated arena and attempt to score points by bringing the ball into their opponent’s endzone. The game is slated for a 2014 release on PC. TIGS Sports Compo: Footbrawl Quest Scores! Happy new year! The winner of the TIGSource Sports Competition was announced last month… a huge round of applause for (drumroll, please) Footbrawl Quest, the turn-based American football game made in the style of a dungeon crawler! It’s quite fun – go check it out. You can view the voting thread here. Congratulations to anyone who participated! This was a solid return to form and here’s looking to at least one other TIGS competition this year!